MITech welcomes the opportunity to present the impressive labelling systems developed by Quadrel, gaining strong support in New Zealand. From the comprehensive Quadrel range the solution could be an economically priced E100 capable of a variety of low production rate labelling applications, to high speed applicators such as the Q160. This features cam operated powered rewind, “air box” powered unwind, along with the intelligent servo drives to deliver extremely high speeds and unparalleled accuracy. The systems range in speed from 20 ppm to 500 ppm achieving pinpoint accuracy through high speed servo driven label applicators with dispensing speeds over 5,000 per minute. Quadrel’s TechLine and ProLine labelling systems have been designed to provide leading edge technology. Available in front/back/wrap or custom configurations. Boasting features such as Allen Bradley PLC control and colour touch screen operator interfaces, servo driven applicators, stainless steel construction, and digital frequency controlled product handling. 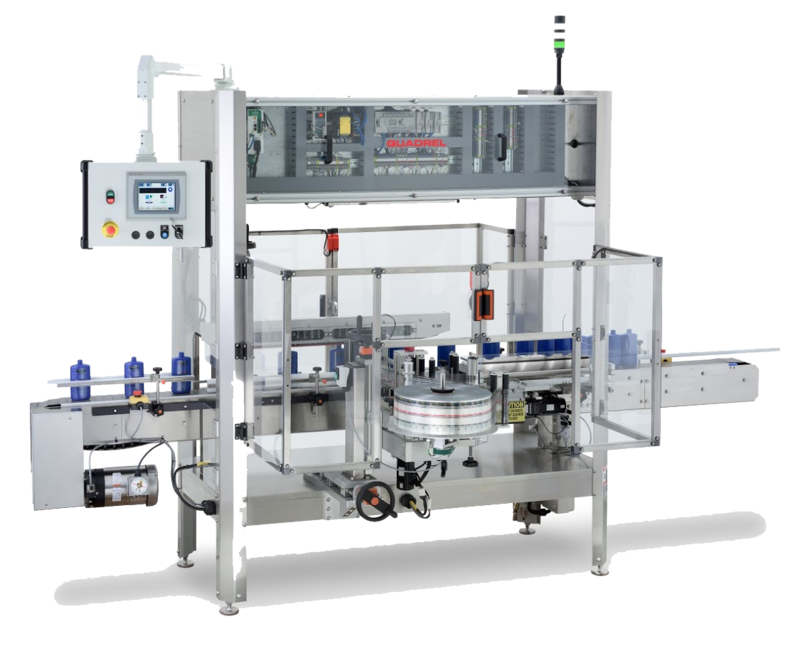 Quadrel have also perfected two shrink sleeve application systems capable of speeds up to 300 pieces per minute for full body and tamper bands which can be combined with; electric radiant ,convection heat, or steam tunnels, for automatic shrinking of both tamper/ cap seal or full body.